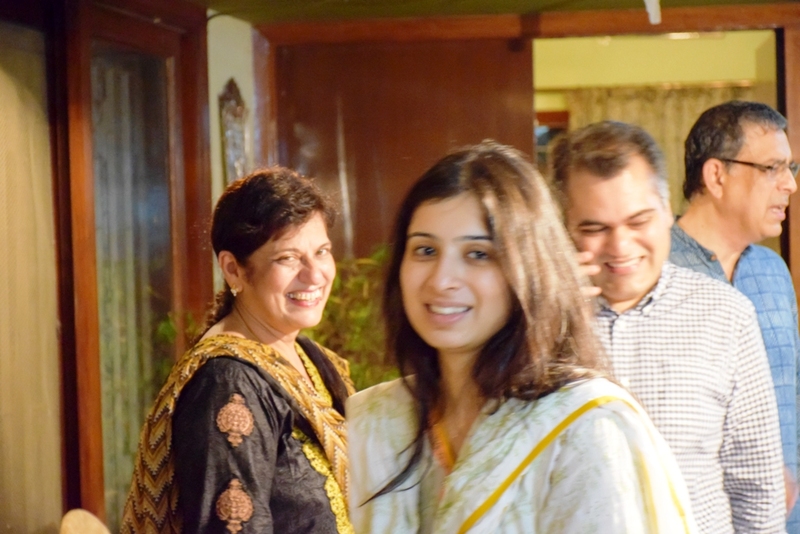 HOPE’s Iftar Get-together With Some Of Its Supporters And Friends. 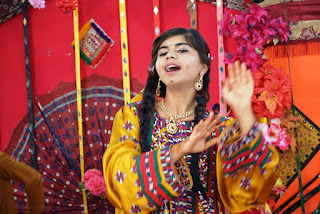 Following tradition of previous years, it was once again time for HOPE, an educational NGO in Pakistan to call for a gathering of some of HOPE’s friends and supporters – who were equally keen on such an occasion. 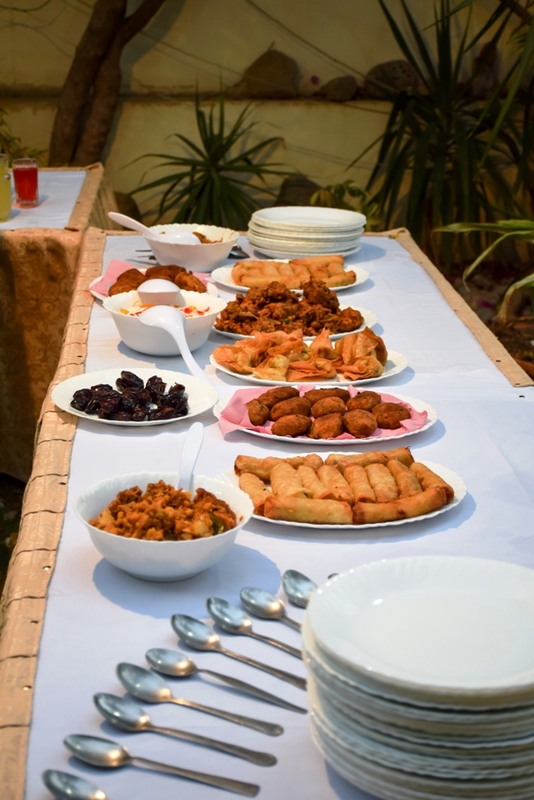 HOPE also a health NGO in Pakistan, invites its friends and supporters to break the Ramadan fast together and also to have a sumptuous dinner later as the evening proceeded. But this is not the real reason for the popularity of this get-together – it is because it gives everyone a chance to freely talk about new happenings, information and anticipated future developments in the respective fields that they relate to. Inevitably conversation does drift to current politics mostly local but some international too – but mostly the invitees were interested in finding out what the other invitees were upto and how they could benefit from the experiences that was being shared. 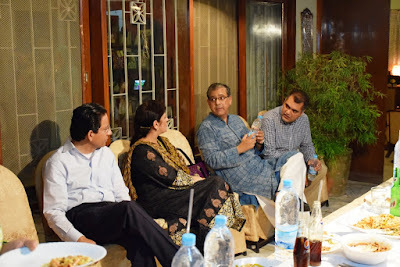 Amongst the invitees some of the known names were Mr Saad Amanullah, previous P&G CEO, one of the senior heads of Saylani Foundation, Health Program Officer of UNICEF, CSR chiefs of Standard Chartered Bank, Senior Co-ordinator of Jhpiego’s(USAID) Mchip program etc. It was a very interesting and entertaining evening for everyone including HOPE’s staff who were very eager to listen to such stalwarts exchanging views on issues directly related to all of us. It was a very enjoyable evening for all and when the guests departed they did so with big smiles, satisfied that their time was well spent – and promising to be back again next year. The occasion also gave Dr Mubina Agboatwalla, Chairperson of HOPE and child specialist in Karachi, who has been the driving force in setting up all of HOPE’s Schools and Hospitals - an opportunity to express some of her opinions to the visiting guests who appreciated her views. 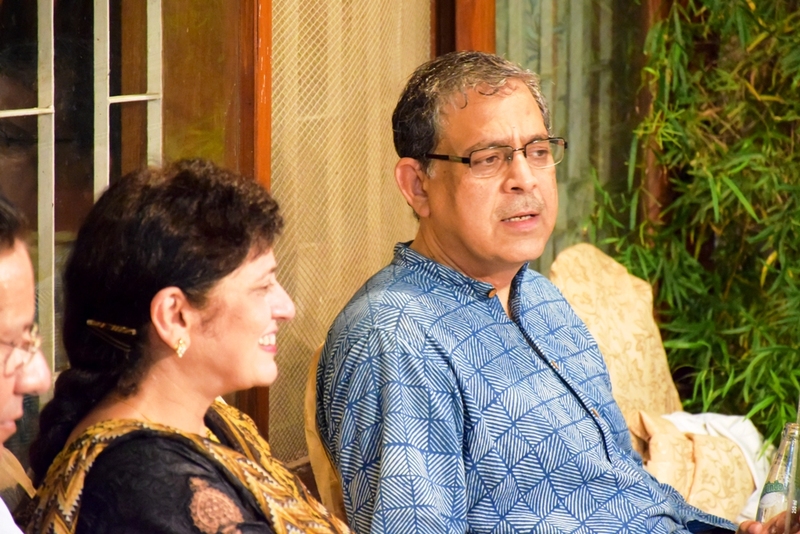 Dr Mubina Agboatwalla, Chairperson of HOPE and child specialist in Karachi has always maintained that the health and education assistance provided to the needy should be of excellent quality. 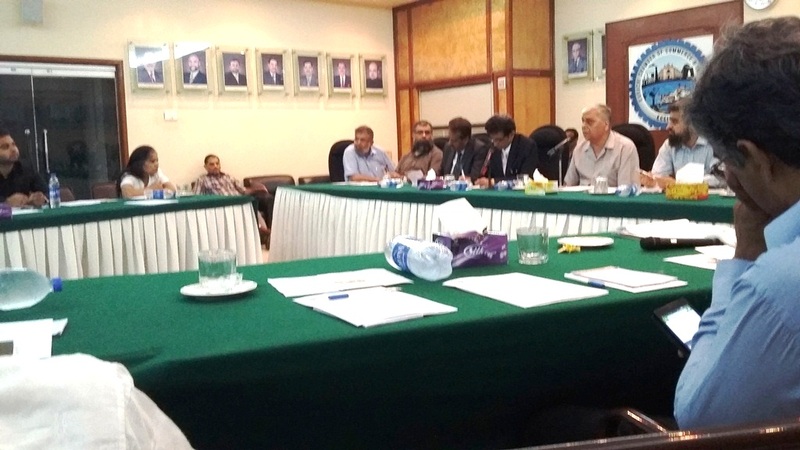 HOPE’s Team Invited to Karachi Chamber Of Commerce To Discuss Fund-raising Strategies and Placement of Interns. 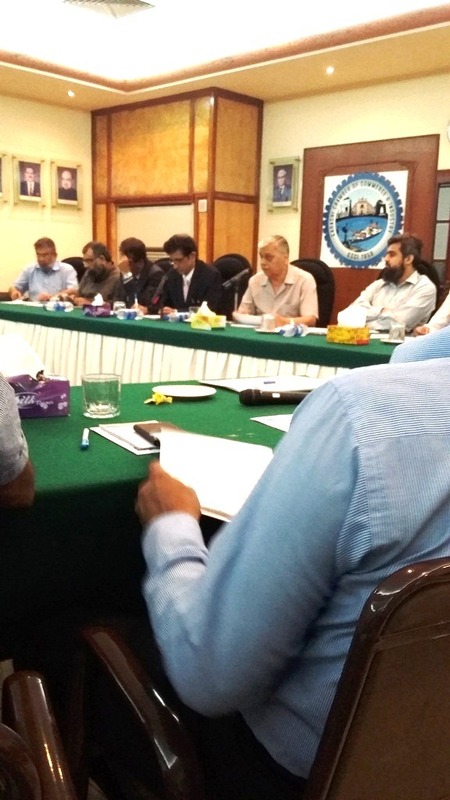 A special meeting was called by the Karachi Chamber of Commerce & Industries to discuss various issues at the advent of the Holy Month Of Ramadan. Although the agenda was extensive but issues related to the collection and giving of support to the poor and needy specially in the field of Education & Health was emphasized. 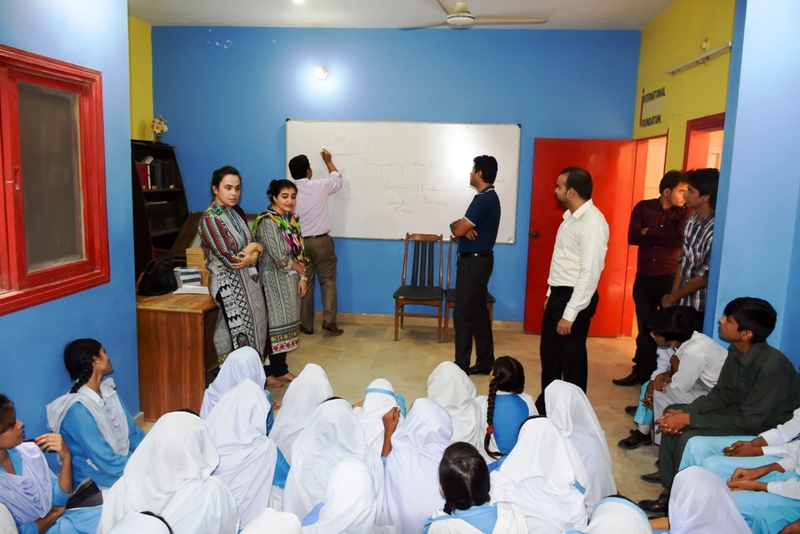 Both these issues are of particular interest to HOPE, an educational NGO in Pakistan – as these are the two areas in which HOPE, also a health related NGO is completely focused on and has experience and expertise of almost two decades. 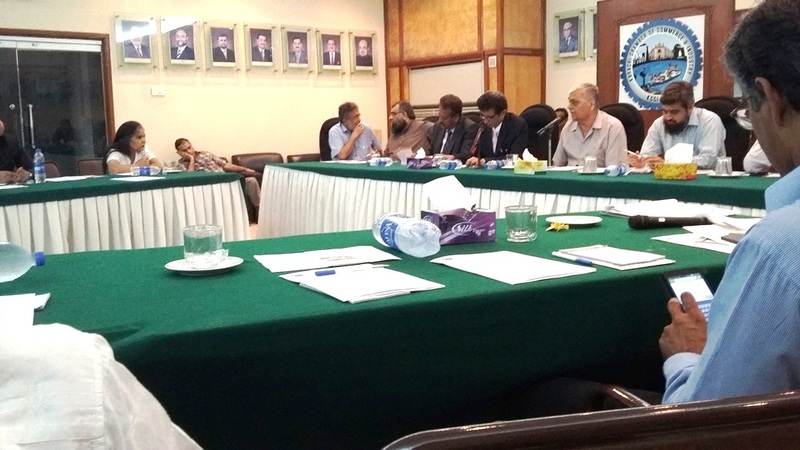 The chairman of KCCI explained how the organization had been successful in helping the many students of Karachi University, ICAP, ICMA, Zabist, CBM etc. to enter some of the many very successful and powerful industries and trading companies, opening for them doors of immense opportunities. 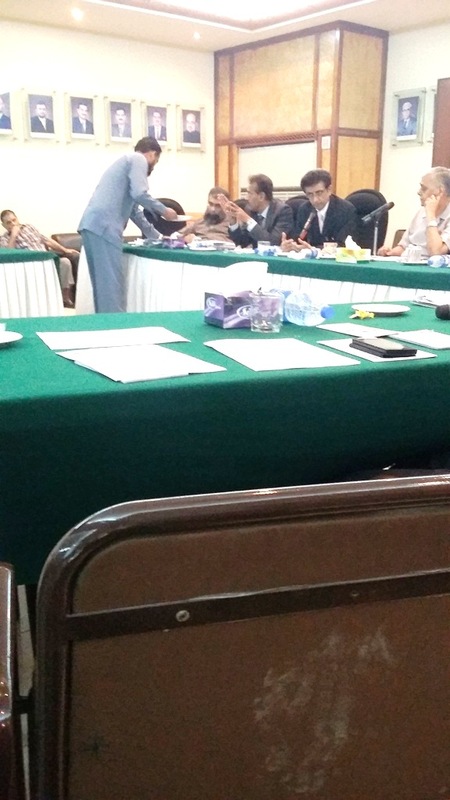 KCCI also expressed helplessness in directly providing resources, particularly financial resources, to individuals or NGO entities as they were limited by legal constraints. 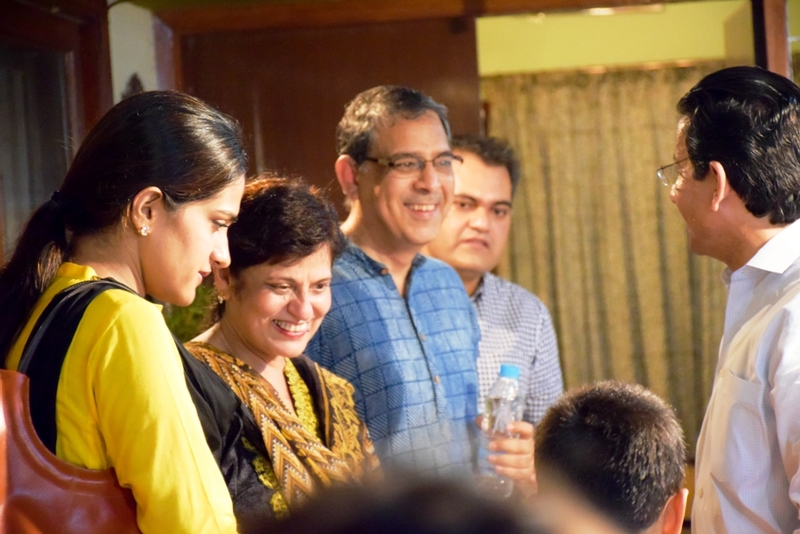 What they could do was introduce the needy to its various wealthy and generous-hearted members who always extended support to such causes and never let anyone down. HOPE was able to distribute some annual reports and brochures to the members of KCCI to spread awareness and know-how of its various activities – which was appreciated by all. HOPE was given a great opportunity to highlight the fact that Dr Mubina Agboatwalla, Chairperson of HOPE and child specialist in Karachi, has been the driving force in setting up all of HOPE’s Schools and Hospitals – and in ensuring they are successfully and efficiently run – which is why these hospitals and schools have been extremely popular in the areas where they have been established. Dr Mubina Agboatwalla, Chairperson of HOPE and child specialist in Karachi has always maintained that the health and education assistance provided to the needy should be of excellent quality. 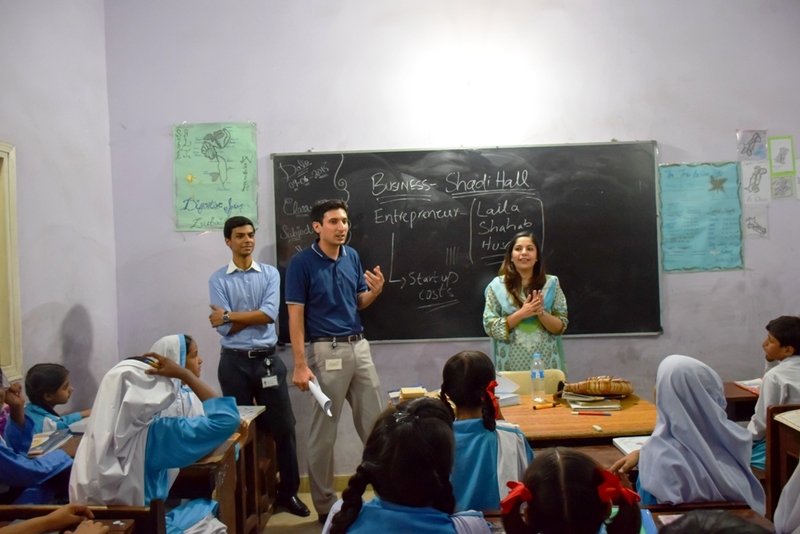 HOPE’s Zia Colony School Visited By Standard Chartered Bank’s Motivational Training Team. 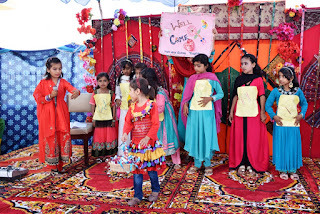 It was a very interesting day for the students of Zia Colony’s School belonging to HOPE, an educational NGO in Pakistan . It was not just interesting but entertaining too and by the end of the activity they were all enlightened to new ideas and new ways for self-employment that they otherwise would never have visualized by themselves. The SCB team consisted of expert trainers of entrepreneurial skills and what they aimed at was in implanting in the young minds new visions of entrepreneurship that they could hopefully use once they were finished with their studies. 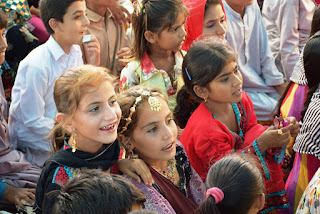 HOPE an educational NGO in Pakistan, prepares these young students to become mentally and physically alert and eager receivers of such valuable information. 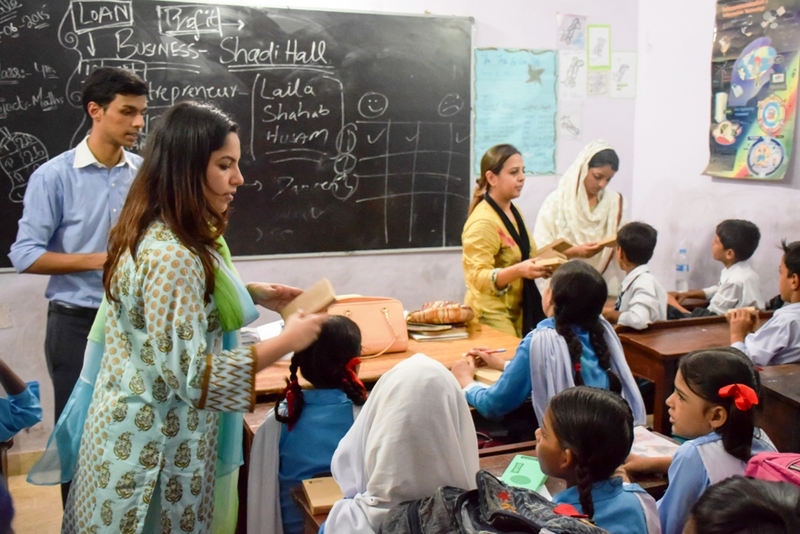 The SCB team devised schemes to test whether the young students possessed any entrepreneurial capabilities – and the SCB team was surprised to find out that they were not let down – in fact they were quite encouraged with the results of the activities. 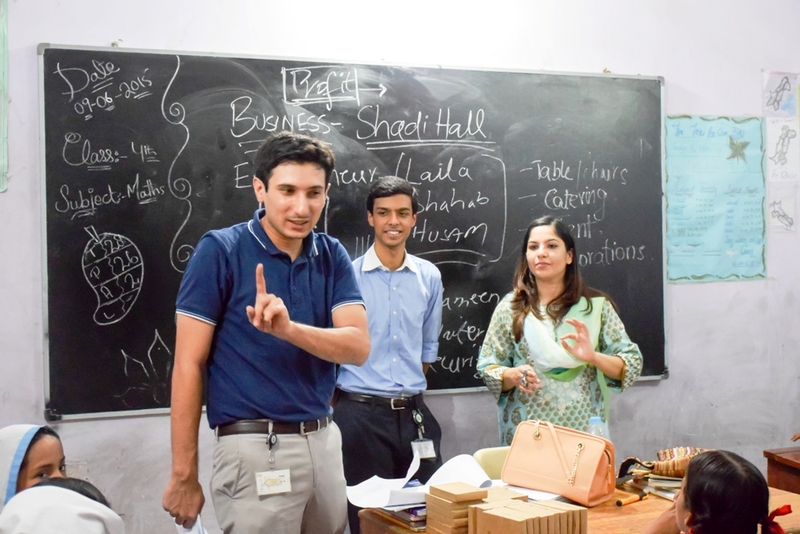 What the SCB team did was divide the students into teams and dared them to come up with whatever business propositions that came to their young minds. And what they came up with was amazing. One team proposed a whole set-up of mobile phone retailing business inclusive of all services. Another team came up with brand retailing of clothing. And yet another with setting up of Shaadi Halls, considered a very lucrative business. There were more, of course, like a chain of beauty salons, boutiques, restaurant outlets etc. 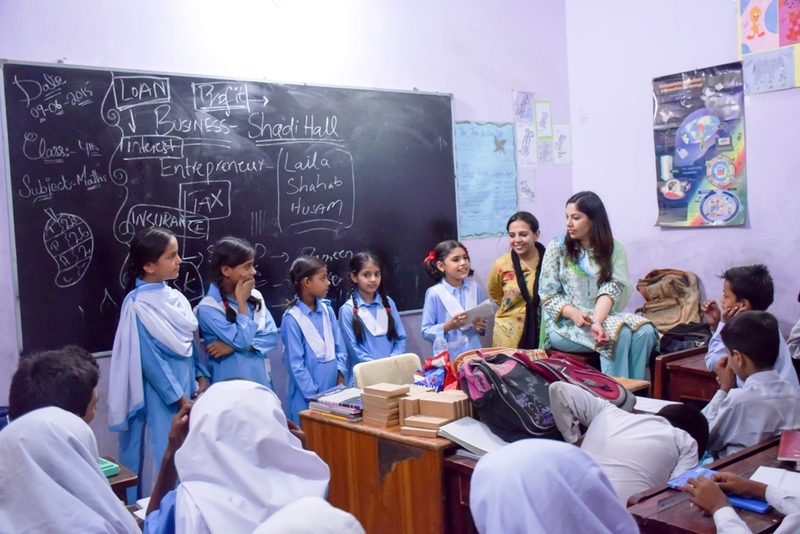 The SCB team was planting new ideas in the minds of these students of HOPE’s Zia Colony School – ideas that they probably could use when grew up. Satisfied that their job was well done, SCB team shared lunch boxes with all the students and spent some time in an open discussion. Dr Mubina Agboatwalla, Chairperson of HOPE and child specialist in Karachi, has been the driving force in setting up all of HOPE’s Schools and Hospitals – and in ensuring they are successfully and efficiently run – which is why these hospitals and schools have been extremely popular in the areas where they have been established. 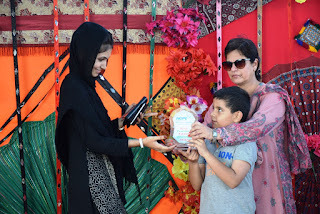 Dr Mubina Agboatwalla, Chairperson of HOPE and child specialist in Karachi has always maintained that the health and education assistance provided to the needy should be of excellent quality. 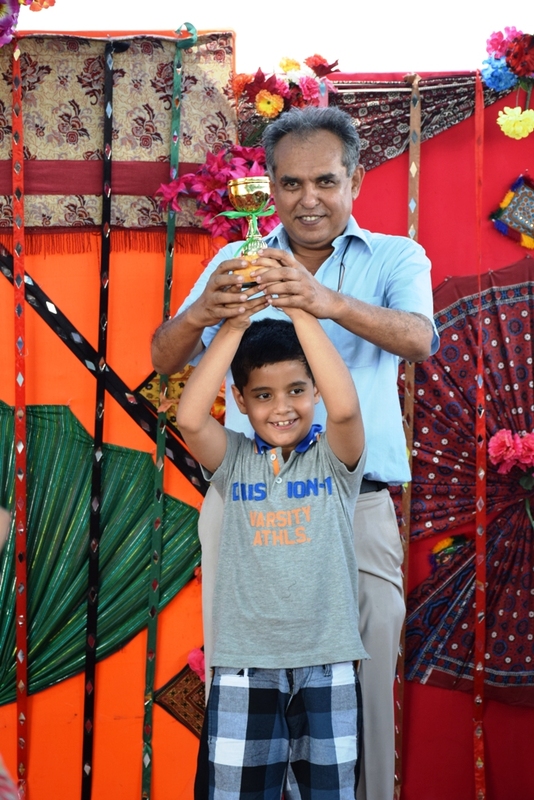 Before going into summer vacation HOPE’s school in Thatta held its annual result ceremony on 27th of May, 2015. HOPE, an NGO in Pakistan arranges this event every year to encourage its students to achieve more and to appreciate those who work hard. “This is a great way for enhancing the confidence level of the children” said Ms Kubra, the school incharge. 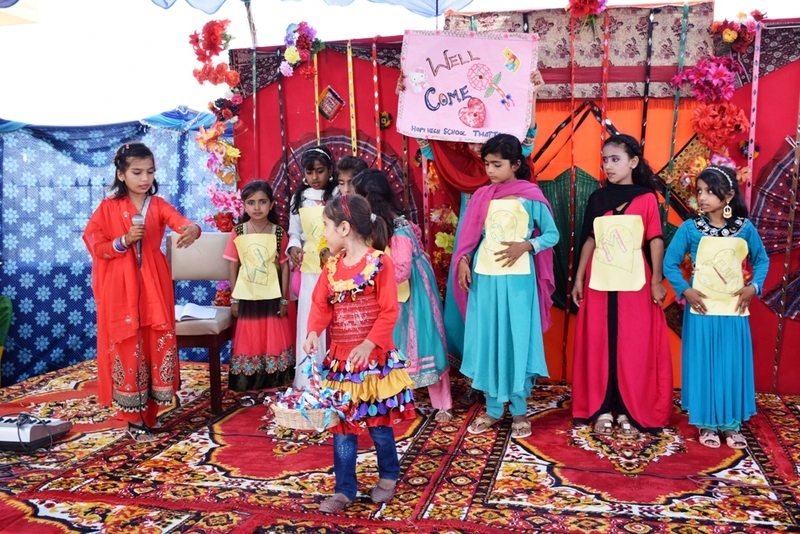 The event was packed with other numerous performances and skits by the school children, who had put in a great effort in making the event very entertaining. There was a special dance performance by the children of HOPE school Thatta and the audience thoroughly enjoyed watching it. 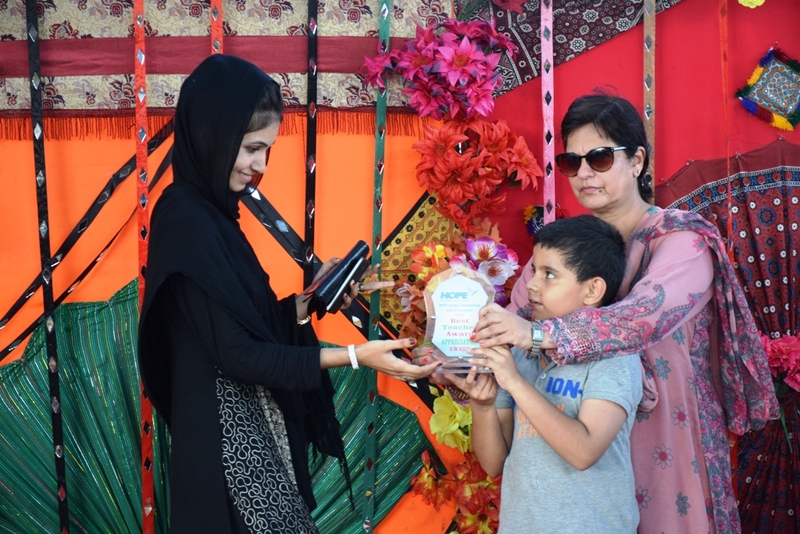 The students, who stood first, second and third in their respective classes were presented with gifts to further encourage their hard work. All the guests highly appreciated the program. 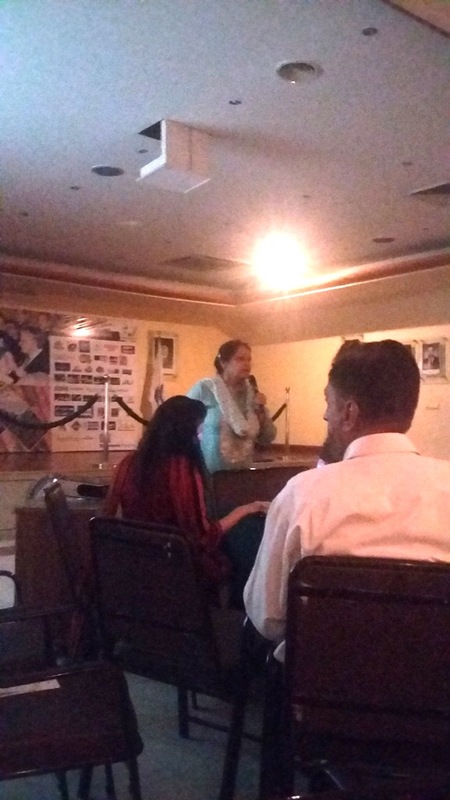 The Chairperson of HOPE, Dr. Mubina Agboatwalla Child Specialist in Karachi congratulated the position holders and their parents and appreciated the efforts of the teachers. 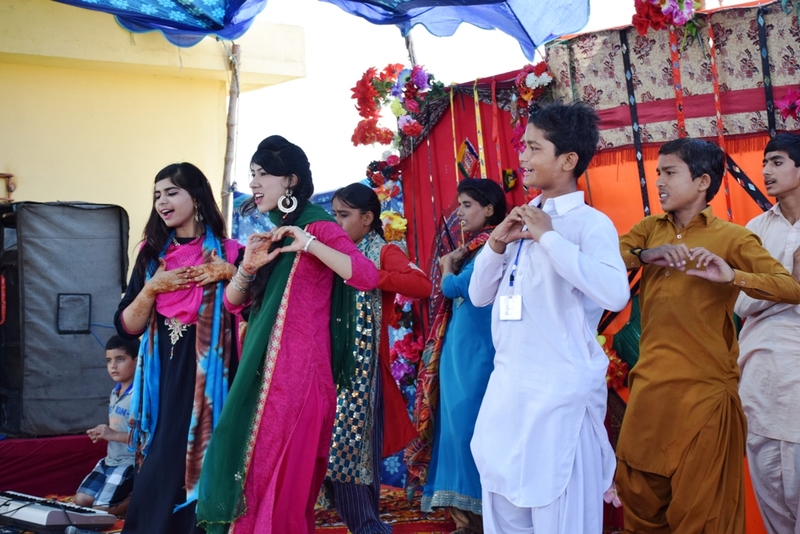 The event was arranged by school’s staff in Thatta , and was attended by many guests who came in all the way from Karachi. 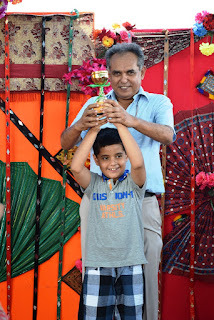 The distinguished guests distributed trophies and certificates among the position holders. School bags & Stationery items were also given to the kids at the end of the event.